Absolutepunk are hosting two exclusive streams today, with Weekend Dads and City Mouse, which come off of The Thing That Ate Larry Livermore compilation. 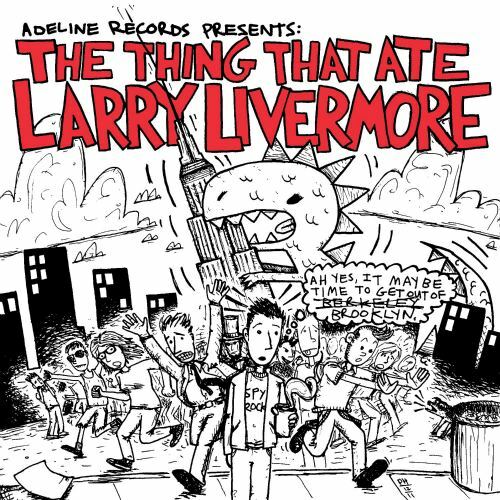 This special Adeline Records compilation includes 16 songs from acts such as Dear Landlord, Mixtapes, Lipstick Homicide, the Dopamines, House Boat, Vacation, the Max Levine Ensemble, Emily’s Army, Mean Jeans, Be My Doppelganger, the Hextalls, Night Birds, the Copyrights and the Visitors. The release is planned for May 29 and songs were selected by Lookout Records founder Larry Livermore. Check out the song streams by heading right here and comment with your thoughts on these new tunes!